Hunting for Easter Eggs is a blast for kids and is mighty egg-a-licious. Kids light up when they see an oversize white bunny hopping around. Easter Bunnies are cute cute cute! They bring joy and a smile to everyone - young and old alike. Filling up baskets and bags with chocolate and candy goodies is a must for kids, not to mention it’s so much fun. Cracking eggs open to find that one special surprise prize is way cool! Below are Easter Egg hunts by date and then by town. If you want to see more Easter Events, search our calendar. Jefferson Township 23nd Annual Easter Egg Hunt - April 1, 2017 at 1PM. The Egg Hunt is open to all children up to 9 years of age who are Jefferson Township residents. Each child should bring his/her own basket to collect the eggs. Maximum of ten eggs allowed per basket. All children will receive a gift from the Easter Bunny and there will be opportunities to take photographs with him. Parents should be sure to bring a camera. Jefferson Township Middle School, 1000 Weldon Rd, Jefferson NJ. Morristown Annual Easter Egg Hunt - April 1, 2017 at 10:00AM. Easter Bunny, face painting, balloon animals, candy for all kids. Lidgerwood Park, Morristown NJ. New Brunswick Easter Egg Hunt - April 1, 2017 at Buccleuch Park, New Brunswick NJ. Begins at 11:00AM for children of all ages. Summit PAL Easter Egg Hunt - April 1, 2017 at 10am. Summit’s Village Green, 356 Broad St, Summit NJ. The Easter Bunny is prepared to hide over 10,000 eggs. The Easter Bunny will be available for photos. Music and entertainment being provided by the Summit PAL throughout the event. Wayne Easter Egg Hunt - April 1, 2017, 10:30AM-11:00AM. Wayne Valley Junior Varsity Field & Football Field, Wayne NJ. Bring your bags. Separate area for: toddlers-2 | ages 3 to 4 | ages 5 to 7. Middletown Flashlight Easter Egg Hunt - April 7, 2017, 7:30PM, kids 4 & older. Find eggs in the dark. Middletown NJ Residents only. Allendale Easter Egg Hunt at Crestwood Lake. April 8, 2017, 10AM-12PM. Ages 12 and under. Special Egg Hunt for Mothers! Special Prizes for those who find the plastic eggs. Music and Special appearance by Peter Cottontail. Rain Date: Sunday April 9, 2017 2:00 P.M. Crestwood Lake, Allendale NJ. Belmar NJ Easter Egg Hunt at 3rd Ave Beach Entrance. April 8, 2017, begins 11AM. Over 3,500 eggs. Kids ages 1-9 will have plenty of fun. Easter bunny on the beach. Belmar residents. Dover NJ Easter Egg Hunt at Crescent Field (Small Soccer Field). April 8, 2017, starts 10AM for Dover Residents Only. Children ages 2-10. Rain date April 15, 2017. Bring baskets and bags. Take a photo with the Easter Bunny. Hoboken Easter Egg Hunt at Mama Johnson Field (4th & Jackson in Hoboken) April 8, 2017, 10AM-2:30PM. Join us for Hoboken Grace’s largest event of the year! We’re so excited to bring you TWO egg hunts! Featuring 30,000 Easter Eggs, pictures with the Easter Bunny, bounce houses, face painting, crafts, and carnival games. The event is completely free for everyone. Registration is required for the event. Sign up now for one of the Hunts and we'll see you there. Fanwood Easter Egg Hunt - April 8, 2017, starts 10am. Forest Rd Park, Fanwood. Children ages 10 and under are invited to meet the Easter Bunny and join the fun. Over a thousand eggs, filled with all sorts of goodies including hundreds of prize tickets will be hidden around the park! The event will also feature different contests for all ages, offering a chance for attendees to win even more prizes. Some of the contests will include a bunny-drawing contest (bring your own bunny drawing to enter), an egg-decorating contest (bring your own decorated egg to enter), Guess the number of jelly beans and chocolate eggs. Livingston Mall Easter Egg Hunt - April 8, 2017, starts at 9AM. Pre-registration required. Photo with Easter Bunny. Madison NJ Easter Fun Fest. April 8, 2017, 11AM-12:30PM. Sponsored by the Madison Chamber of Commerce. Middlesex NJ Easter Egg Hunt at Mountainview Park. April 8, 2017, 9AM. For Middlesex Borough Residents Only. John F Kennedy Drive off Bound Brook Rd. (Route 28) in Middlesex. Rain date April 9, 2017. Ages 1-3, 4-6,7-9. Parents have to hold baskets and bags while children collect candy. Middletown NJ Easter Eggstravaganza - April 8, 2017, starts 11AM at the Middletown Arts Center, Middletown NJ. First 500 children receive goodie bags. Arts & Crafts. Meet the Easter Bunny. Millburn's Annual Egg Hunt. April 8, 2017, 10AM-11AM. Taylor Park, 100 Main St, Short Hills NJ. New Rochelle Park Easter Egg Hunt at Carlock Field. April 8, 2017, 10AM. Toddlers Thru 10 Year Olds. Parents bring your cameras. Find The Special Marked Eggs And Win A Prize. Thiem Ave, New Rochelle Park NJ. Newark Annual Easter Egg Hunt at Ironbound B Field (St. Charles Street & Rome Street) Newark NJ. April 8, 2017, Registration starts at 9:30AM-12PM. Boys and girls ages 2-10. Prizes, Food and Fun. Oradell Easter Egg Hunt - April 8, 2017, 1PM and 1:30PM. Doug Parcells Athletic Complex, Oradell NJ. River Vale Easter Egg Hunt - April 8, 2017, to be held 10AM at the River Vale Country Club rain or shine. Please remember to bring your cameras to have photos taken with the Easter Bunny! Candy for all participants! 10AM: Children 3 and under. 10:15AM: Children 4-6. 10:30AM: Children 7 and over. There is no charge for the Easter Egg Hunt. 660 Rivervale Rd, River Vale NJ. Rockaway Townsquare Mall Easter Egg Hunt - April 8, 2017, 9AM for kids 8 and under. 301 Mount Hope Ave, Rockaway NJ. Pre-registration required. Roseland 17th Annual Easter Eggstravaganza - April 8, 2017, 10AM-11AM. Bunny Breakfast. Easter Egg Hunt On The Borough Hall Front Lawn. Bring A Basket! Bring Your Own Camera for a Picture With The Easter Bunny! Children Ages 8 And Under. 19 Harrison Ave, Roseland NJ. Scotch Plains Easter Egg Hunt - April 8, 2017, 11AM-12PM. Will be held at Alan Augustine Village Green, 430 Park Ave Scotch Plains NJ. Tom’s River Ocean County Mall - Easter Eggstravangza at Boscov’s Department Store. April 8, 2017 10AM-3PM. Kids 12 and under. Candy, Easter snacks, Photo with Bunny. Win prizes. Watchung Easter Egg Hunt, Philip’s Field April 8, 2017, 11AM-12:30PM. Prizes, games, music, photo opportunity with the Easter Bunny. Florham Park Jaycees Annual Easter Egg Hunt - in front of Ridgedale Middle School. April 9, 2017, starts 1PM. Children grouped by ages. Loads of fun hunting for eggs. Bring a camera. Keansburg Amusement Park Easter Egg Hunt - April 9, 2017 at 1PM. Park will open at noon for admission. Point Pleasant Jenkinson’s Boardwalk Annual Egg Hunt - April 9, 2017 at 1PM. Free family fun, dig for eggs. Open to children up to age 10. Mountain Lakes Annual Easter Egg Hunt - April 9, 2017, 1PM. Hop on over to Midvale Field for the Annual Easter Egg Hunt for ages 6 and younger. Please bring basket to gather goodies and join us for games, crafts, snacks, and the hunt! Some special Bunny will be there to make sure you have a very good time! Midvale Park, Midvale Rd, Mountain Lakes NJ. Norwood Easter Egg Hunt - April 9, 2017, 1:30PM, The Norwood Fire Company will host its 37th Annual Easter Egg Hunt & Egg Toss at Kennedy Memorial Park. Peter Cottontail, Mickey Mouse, Snoopy, Smokey the Bear and Barney will be there to play with the children and award prizes to the lucky winners in all age groups up to 10 years old. All children will receive candy and must be accompanied by parents. Bring your camera and come out and have lots of fun with the firefighters. 453 Broadway, Norwood NJ. Rutherford Annual Egg Hunt - April 9, 2017, 1PM-2PM. Tryon Field, 52 Darwin Ave, Rutherford NJ. Seaside Heights Palm Sunday Egg Hunt. - April 9, 2017, 1PM at the beach/boadwalk, Hancock Ave, Blaine Ave, Sumner Ave. Ages 1-10. Special Needs friendly at Franklin Avenue. Rutherford Flashlight Easter Egg Hunt - April 13, 2017, 7PM-8PM. For Kids grades 4-6. Bring your own flashlight. Tamblyn Field, 30 Woodland Ave, Rutherford NJ. 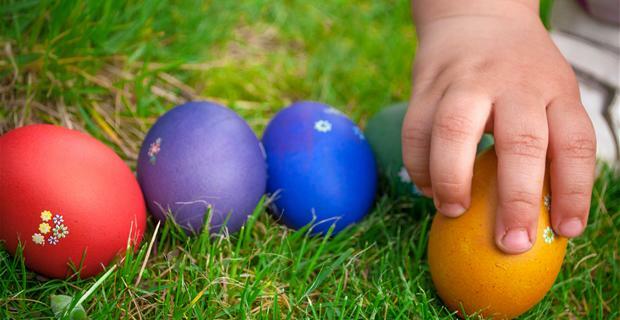 Belleville, Township of Easter Egg Hunt - Sat. April 15, 2017 9AM at Belleville HS Stadium. Egg Hunt and Easter Bunny. Chatham NJ Easter Egg Hunt - April 15, 2017, 11:00AM at Kate Gould Park. Easter Bunny, candy, eggs and more for boys and girls. Nutley Civic Celebration Easter Egg Hunt - April 15, 2017, 9AM-9:45AM. 3000 eggs to hunt. Passaic Ave and Vreeland Ave, Nutley NJ. Ridgefield Park Easter Egg Hunt at Veterans Park - April 15, 2017, starts 10AM. Open to toddlers - Grade 6. Line up 9:45AM on the Preston Street side of the high school parking lot. Limit of 12 eggs per child so that every child can participate. 147 Overpeck Ave, Ridgefield Park NJ. Ridgewood Easter In The Park - April 15, 2016, 11AM-2PM. Easter Egg Hunt: ages 4-7. There will be DJ Music so you can hippidy-hop in the Park. Meet the Easter Bunny. Bring your camera to take pictures. Pinot's Palette will have Art and Painting in the Park. Lots of fun with things to do around the park along with stores that will be offering art & crafts, games, sales, surprises all through the business district. Fun for the entire family. Memorial Park at Van Neste Square, S Walnut St, Ridgewood NJ. Tenafly Recreation's Annual Townwide Egg Hunt - April 15, 2017 12:30PM. Bring a basket to collect eggs and a camera for wonderful memories! Roosevelt Common, Tenafly NJ. Wildwood Jaycees Easter Egg Hunt - at Lincoln Ave Wildwood NJ, April 15, 2017, starts at 12:00 Noon. Kids 1-12 will have a blast looking for eggs in the sand. Woodcliff Lake Easter Egg Hunt - April 15, 2017, 11AM-12PM. Bring something to hold eggs with and a camera for a photo op with the rabbit of honor. Westervelt/Lydecker Grounds, across from Old Mill Pool and baseball fields, Woodcliff Lake NJ. Cape May Easter Egg Hunt fun for all at Grand Lawn at Congress Hall - April 16, 2017, 10:30am, 11:30am and 12:30am. Family lawn games and train rides. Free for all. Join the Easter Bunny and Blue The Pig.